If you’re already drawing up a list of places to visit this year, add this to your list. 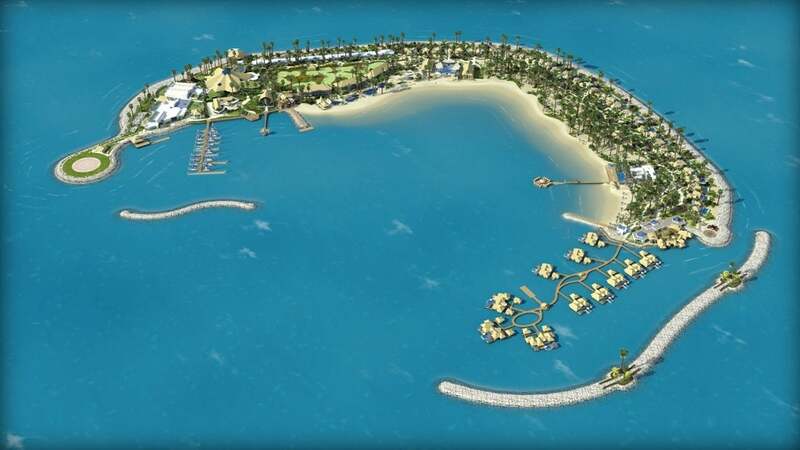 Developed by Al Rayyan Hospitality, Qatar capped off 2014 with a new man-made island, Banana Island Resort- the first Anantara project based in Qatar. The luxury resort and spa group currently has properties operating in Asia and MENA countries, such as Cambodia, Maldives, Mozambique, Thailand, UAE and Vietnam. Inaugurated by H.E. Sheikh Abdullah bin Nasser Al Thani, Prime Minister of Qatar and the Minister of Interior, with Al Rayyan Hospitality President Mohammed Al Qahtani and Banana Island Resort Doha General Manager Sami Ayari in attendance, the crescent-shaped island boasts an 800-meter long private beach which means... plenty of beach activities, of course! Guests can enjoy a variety of water sports including kayaking and wakeboarding. Besides the luxe Anantara signature rooms, there’s also the Balance Wellness Centre, and a list of can’t-believe-these-exist facilities: an “oxygen fern room” and a “female-only hydro pool”. Whether you want to escape the bustling city or if you’re just up for exploring doha’s cultural sights, it’s only a 20-minute ferry trip from Al Shyoukh Terminal downtown or a 10-minute ride from the Hamad International Airport- that is, if you fancy a helicopter jaunt.